Is this leaked hybrid the world's first Haswell-powered laptop? If you're looking for the newest mobile gear with Intel's brand-spanking new fourth-generation processor included, Sony is bringing its stuff to the table. 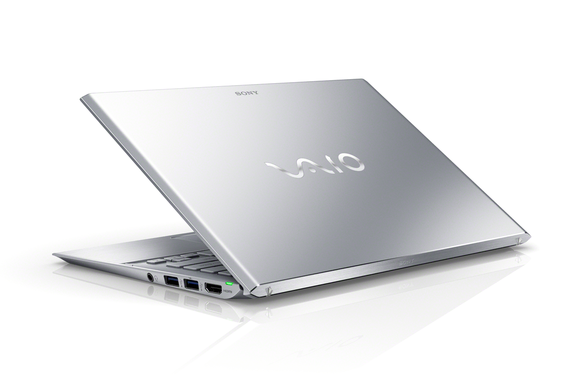 The company has a few new mobile options that update their line of VAIO products with the VAIO Pro and VAIO Duo. Sony is bringing its TV know-how to the VAIO line with its Triluminous color rendering and X-Reality display engine technologies. You'll find cross-pollination from the company's camera division, too: The webcams in both models utilize a PC-optimized version of the Exmore R CMOS senor technology original developed for Sony's digital cameras. Sony's VAIO Pro 11 is encased in carbon fiber. The VAIO Pro will be available as a 1.92-pound model with an 11-inch display, or a 2.34-pound model with a 13-inch touchscreen. The VAIO Pro 13 will offer a high-speed PCIe SSD drive, which Sony claims is the first of its kind. Connect the optional sheet battery to double the battery life of either, endowing the VAIO Pro 11 with 14 usable hours and the VAIO Pro 13 with 13 usable hours. 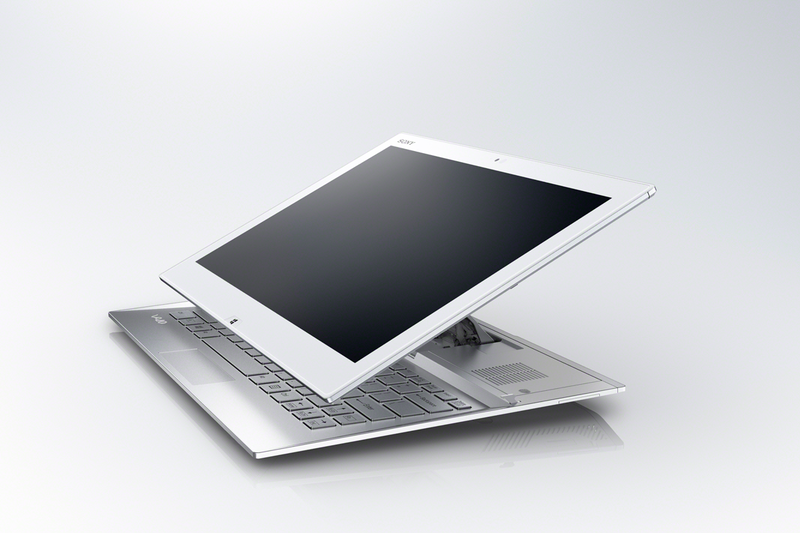 Sony's VAIO Duo 13, showing off its Surf Slider hinge. The VAIO Duo 13 combines the best features of a notebook with the convenience of a touchscreen tablet (the unit ships with a pressure-sensitive digitizer stylus). The 2.93-pound computer expands its touch screen size from the original VAIO Duo 11 by minimizing the bezel. Sliding the screen up from tablet mode reveals a full-sized backlit keyboard and a trackpad. Updated at 10:38 a.m. PT on June 5 to add an IDG News Service video report.